Your home is a long-term investment. Sometimes it pays to put some effort into it in order to make it more livable and aesthetically pleasing. These homeowners in the Ann Arbor area know that. 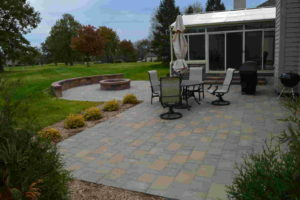 They are repeat clients of Twin Oaks Landscape. We previously installed an irrigation system for them. They know the commitment to quality and customer satisfaction Twin Oaks provides. 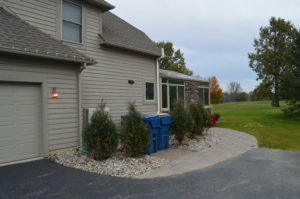 So, they knew just who to turn to when they wanted to improve their landscape design after adding a four-season room to their home. The homeowners had recently added a new four-season room. It was a welcomed enhancement to their existing space. Now they wanted the rest of the back yard to match the quality of the new space. They also needed to transition from the new room to the patio in order to truly enjoy the beauty of Michigan’s seasonal changes. This project included a full design. Both hard and softscape features were incorporated to complete the look. 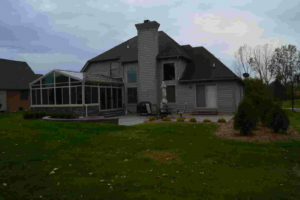 A tree and the existing deck were removed. They were replaced with a new, expanded patio that includes a fire pit area with wall seating. Stairs were also added to lead from the four-season room down to the patio. The drainage work was redone, as well. And the irrigation system was reconfigured to meet the new layout. Trees were also added to soften the look of the landscape and to add an element of privacy for the patio. From start to finish, the job only took about three weeks to complete. 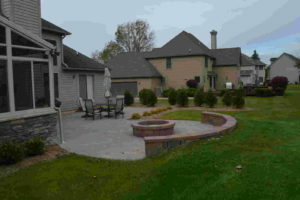 Twin Oaks Landscape is proud to offer landscape design solutions for our customers. Nothing makes us happier than to help homeowners be able to better enjoy Michigan’s great outdoors. Let us help you improve your outdoor living space. 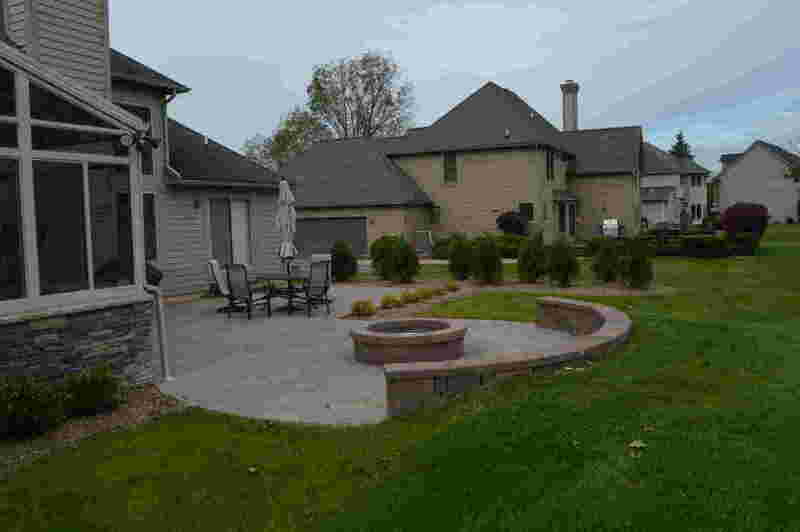 Contact Twin Oaks today to discuss your landscaping needs.